TAG ANSVAR FOR DIT LIV! 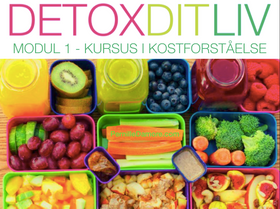 "I participated at the Detox Your Life course 2007-2008 and l am very impressed in the update you gave us regarding healthy diet, alternative medicine, healthy mindset and how to perpetually personally develop yourself and your life. I am following you on FB and truly acknowledge how you always are a step ahead. 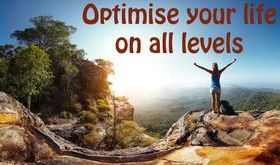 You yourself are a living example on personal development and healthy living without it ever getting boring. I truly appreciate you for that! You are a first-mover and a very inspiring human-being who never compromises. 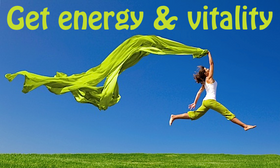 You are a distributor of healthy living the cool way! " 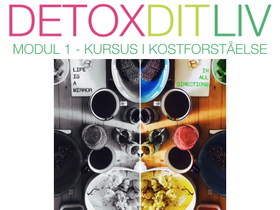 "Dear Pernille, it has been very instructive and inspiring to participate on your 1-year holistic detox program. Thank you for everything you taught me, I use it every day. Not least, I am grateful to you for the impact you have on my daughter's development. With your help, she is experiencing a rapid self-development towards a harmonious and loving foundation for herself, her family and everyone around her. I wish you good luck in the future with all your exciting projects! Love. "Pernille is SO proficient! She conveys everything in a very simple and elegant way. And she is sharp! She knows exactly what is hiding behind a question, in a comment or just by observing someone's body language and body composition. It´s quite impressive! 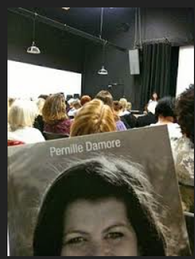 I followed the Damore-Program in a 6 month group-course with Pernille Damore coaching 8 years ago. It was very rigorous! But what a transformation! I will never go back to the lifestyle I had before. Whatever it is she does; it really works!" 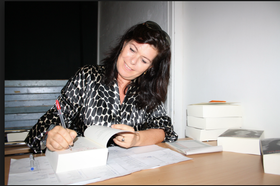 "It is so difficult to describe what your knowledge, your insights and your book "TAKE CHARGE!" has meant for me in only with a few sentences! First of all; you have such a very special talent only granted to a few people. You have the ability to acknowledge, accept, respect and love the whole person. And l say this without ever having met you because it shines through your book, your videos on youtube, your home-page and in all your communication. To be able to communicate on that level is such a gift. For me personally this has meant a lot. I have learned and learn about myself on a completely different level than ever before. I am learning to completely accept myself as l am with everything l contain. And that leads me in return to completely accept other people as they are with everything they contain. And will you believe it? I am completely sugar free now! I have no longer any need for sugar, I don`t like what it does to me any more. And that has happened without any struggle or any feeling of missing out. The need is simply not there any more! For me, who has never participated in any courses the hormonal adjustment audio files has meant so much. I have downloaded them and keep them on my phone and use them all the time: when l go for a walk in the woods, clean the house or lie and relax. I am so grateful that you exist and l am so grateful that l found you." Pernille, l want to thank you for being who you are. You are making such a difference - you have an amazing way to disseminate life values ​​in such a way that you encourage all of us to turn our thoughts into actions. You have given me so many useable tools, both through your books and at an unforgettable weekend workshop at Christie’s Hotel in Denmark. I still struggle though! For me it has much to do with loving myself in order to also love and trust others. Now l have an understanding of my actions and how they can enforce me. NATURLIG HELBREDELSE og du er kommet lige til det rette sted. At leve efter Damore-Metoden handler om at respektere din krop og alle dens reaktioner. Det handler om at forstå og afkode dine sygdomme og symptomer så du kan belaste din krop, sind og sjæl mindst muligt og genopbygge dig selv. 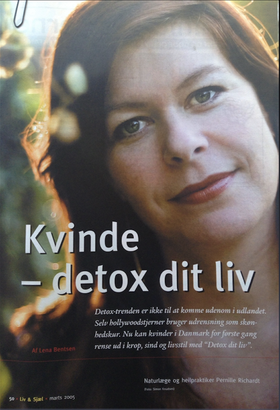 At spise efter Damore-Metoden, at vælge enten DETOX kost eller plantebaseret DETOX kost handler om at du lærer hvilken mad der beriger dig, får dig til at genvinde din sunde, stærke tilstand og giver dig energi og psykisk overskud. 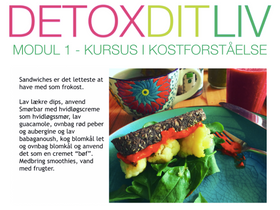 Læs alle blog posterne så du kan tage informerede valg og skriv dig op til nyhedsbrevet der altid indeholder lidt DETOX DIT LIV undervisning. ER DEN ENESTE KOSTRETNING DER ARBEJDER MED BIOKEMISK ADAPTION OG IMMUNMODULERING. 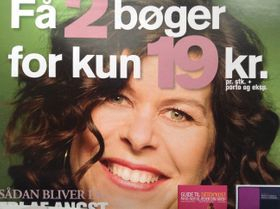 DA DU KUN SPISER REN KOST SPARER DU PENGE, LAVER MINIMAL BELASTNING AF MILJØET OG STYRKER DIT HELBRED. "10 years ago my kids were suffering with coughs and phlegm. l heard about Pernille Damore and had a consultation with the kids. It turned out it was quite easy to sort out; removing specific foods, replacing them with others and now here 10 years after my kids are 22 and 17 years old and have never been sick since. lf something is on its way l know what to do so we never have to consult an allopathic doctor. 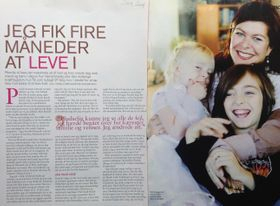 When my children were sorted out l wanted Pernille to help me with my panic disorder. Again she worked with me, added things my body was missing, removing things that was creating a cause. Today l am proud to say that l no longer have any kind of panic disorder. If l feel something is on its way l again know exactly what to do to support myself on all levels. l think the most important thing is that l now have a positive mind and positive thoughts so my every day life never grows to be a problem. My life is perfect! Pernilles` assistance can not be described entirely. 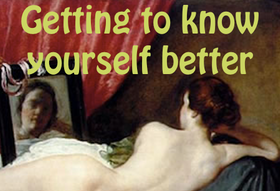 Pernilles help is like you give yourself and your body a gift of gold. 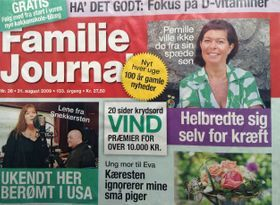 "Pernille has a unique way of selecting and communicating on topics. Although I have heard (and tested) several dietary guidelines throughout my life, it has always been Pernille Damore words that have stayed clearly in my mind. 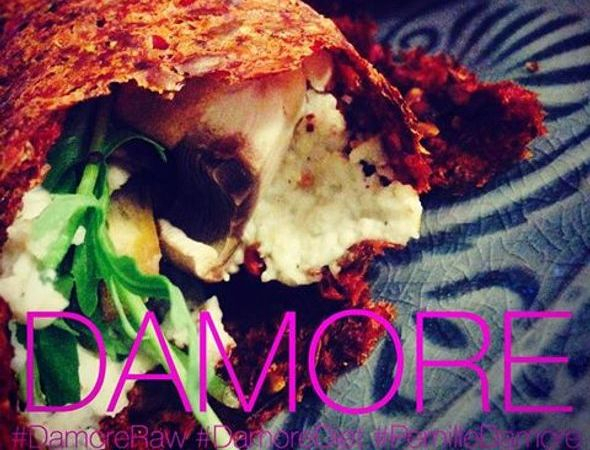 That said, it is actually not the Damore-Diet instructions that are most important, it is the holistic approach and all that she has taught me about my habits, my approach to other people and the importance of love for myself. You can safely put your life in Pernille's hands for a duration, because l promise you: it is an improved version of yourself, you get back." 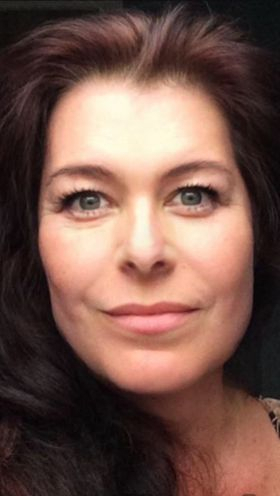 "It is now 8 years ago I became aware of Pernille and her Damore Method. Back then I had just become a mother for the first time and it was such a big change for me. At that time my sleep and meals were completely upside down. l had no energy for exercise and I felt my nerves sat on the outside of me. I was ready for anything to get myself back on track! 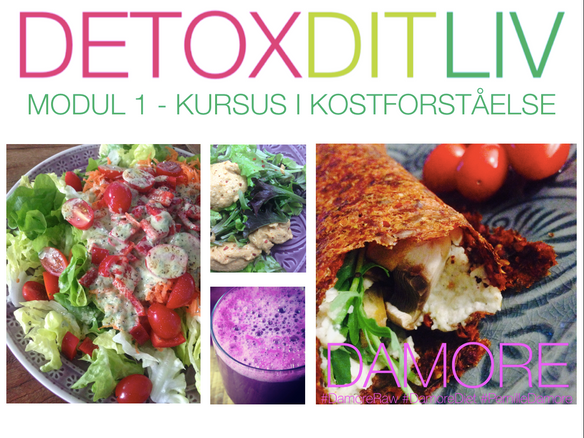 It was then I was recommended to a course with Pernille and her program. Not only did I get a grip with my diet and exercise, at Pernilles course I also got a larger view of the relationship with my body and mind. It lifted me. 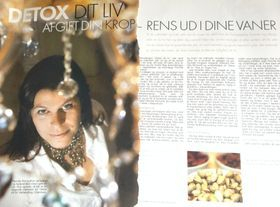 l have always had the interest in a healthy lifestyles but Pernille helped me open the door to a new world, where l no longer just think “I should run a bit more, l should eat a little healthier”. She motivated ​​me to do it and it sticks, 8 years later l in general stick to the principles I have learned from Pernille. its easy because l can now feel it on my own body, how good and wonderful it feels when l just take responsibility for my own live, my own health and lifestyle. I rejoice of every single day of my life and to have my family and people around me that I love and l so look forward to see what the future brings me." 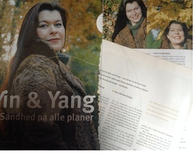 "It is now several years ago l had a fantastic 2,5 year course coached by Pernille Damore. I learned so much that I still use in my daily life today! It has been a fascinating process where I could feel how my body came into balance. I lost a lot of weight, learned more about myself and my impact on others - l learned how to take responsibility for my own life! Pernille you are a great motivator, you have a way with words to inspire, you manage to make everything that comes out of your mouth exciting! I am happy and grateful for the progress I have had with you. You gave me tools I can use for anything! 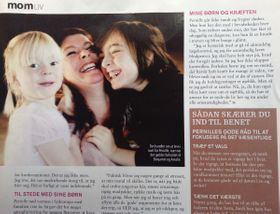 "Pernille has taught me to see beyond my own nose. Seeing the world in a much larger perspective. At the same time, she also taught me to dare look behind my darkest demons. All is well. Instead of judging myself, I now take the bumps on the road of life with curiosity. l could honestly be writing novels about what you have taught me!" 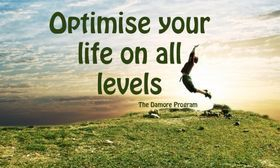 "After participating in Pernilles lessons and courses for several years, I can highly recommend her approach to health, healing, and especially life. The content of her courses has changed my life, but besides that her teaching is so inspiring and motivating. You will wake up and learn how to take responsibility for yourself, your health and your life. And that is the greatest gift you can give yourself and others. All the best to you. "Pernille, your attitude and knowledge about body fragility and at the same time its strength has helped me so much in my process. With that l can always find my way back to me. Besides that, your voice, when l listen to your audio files completely calms me down."